PHILADELPHIA, Pa. – Before producing documentaries, Joan Sadoff, M.Ed., M.S.W., spent her professional career as a clinical social worker in hospital, school, family agency, and community settings. On a national and international level, she has lectured to academic, professional and community organizations on the subject of societal change in the family. Sadoff has often been interviewed as an expert on these issues on television. In addition, she has participated in over 5,000 interviews including survivors of the Holocaust and their families. Sadoff and her husband, Robert, have produced two television documentaries: “Philadelphia: Untold Stories“ and “Standing on My Sister’s Shoulders.” They’re currently working on a third. “Pieces From The Past” is a collection of stories which reaches beyond the personal and that addresses the issue of a world that is larger than the immediate one in which we live, Joan said in the book’s forward. These are the stories of people who believed they could make a difference, that they could change the status quo, that they could make the world a better place. 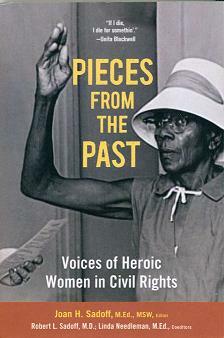 “Pieces From The Past” resonates with the voices of women who exemplify the best of the human spirit. It tells the stories of black and white women who found their courage through the support and strength of those who came before them and worked to sustain the fight for the right to vote and enjoy the same privileges as their white counterparts…and they challenge all of America to continue the never ending battles for humanity. The Mississippi Link: What prompted you to write your book? Joan Sadoff: It’s a continuation of those women in the film and their stories. In the film, “Standing on My Sister’s Shoulders,“ people had the chance to see them and hear their voices. But the book allows them to write their own story. But some, as in the case of your aunt, Fannie Lou Hamer, couldn’t tell their own story, so you helped fill in the spaces. You provided details that we couldn’t access any other way. Some of the chapters have been written by prominent historians and professional writers, like you, Monica, Joanne Pritchard Morris, Constance Curry, Bill Minor and Stan Dearman. So it provides the opportunity for us to learn more about these extraordinary female heroes in stories that have never been told before. The Mississippi Link: What sparked your interest in civil rights? Joan Sadoff: It began many, many years ago. I was watching PBS one night and they were doing a three-part series on the JFK years and the second part of the series focused on civil rights, and they showed one piece of footage that literally changed my life? 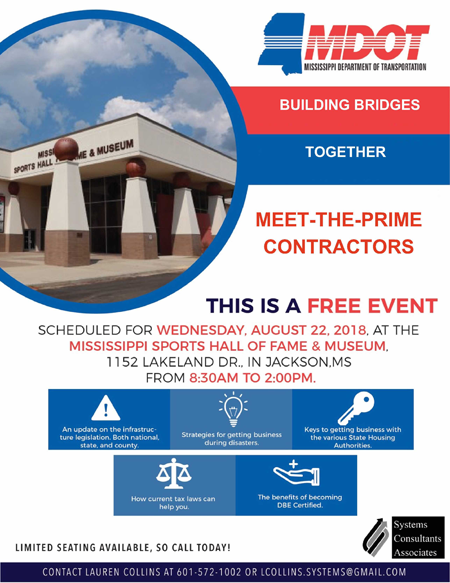 The Mississippi Link: What was it? Joan Sadoff: It was a bus load of Freedom Riders coming into Anniston, Alabama. There was a whole crowd of white people standing there with baseball bats and clubs and when they turned the bus off, someone from the crowd put something on the outside handle so they couldn’t get off the bus and they torched it. There was a bus load of people on there and they locked the door and set it on fire. You could then see someone run from the crowd and remove the object and some of the people were trying to extinguish the flames, others clothes were burning. I was so horrified to see that. I had no idea that something like this had happened. And this wasn’t Bosnia, Russia or Herzegovina. This was my country. And I just couldn’t believe that this could happen in my country. And this is what led to our first documentary. The Mississippi Link: When was that and what was it about? Joan Sadoff: This was the fall of 1991. I remember that because it was right before my son’s wedding. And I told my husband, I want to go this summer and meet those people who were there. I wasn’t there. I wasn’t an eyewitness to any of that. But they were. So we flew to Memphis, rented a car and went to Alabama. We drove through Montgomery and Birmingham and when we got to Mississippi, we went through the state and we asked questions. We literally stopped people on the street and asked everyone the same questions: “Were you here during the civil rights movement? If so, what was it like?” And everyone had a story and they were willing to tell it to us. The Mississippi Link: What do you want people to learn from your work on the civil rights movement? Joan Sadoff: I hope they will be motivated to continue the work because there is obviously a lot of work to be done. We have made progress, but we have a long way to go. That’s the theme of a conference I’ll be speaking at: Advocate, Educate and Cooperate and continue the unfinished business of the civil rights movement. I want people to have a curiosity and interest in their own families and a sense of pride for those heroes who were so incredibly brave and who stood up to the forces that so many other people would have given up on. They had a kind of resilience. They didn’t let that be the end point. They kept their energy focused, they had a cause and it was so much bigger than they’re own personal needs and families. The women we’ve featured – I always felt like they knew no fear. They knew bad things could happen. Bad things were happening all around them and some of them lost their jobs and they could have lost their lives, they suffered injuries and their families suffered. The Mississippi Link: How does that come across in the book? 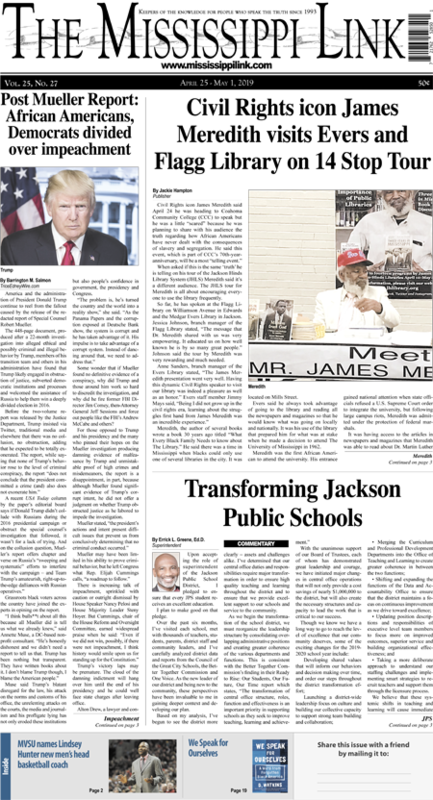 Joan Sadoff: History typically focuses on the works of male leaders such as Martin Luther King, Jr., Medgar Evers, Ralph Abernathy and Bob Moses. But few people know of the scores of women whose courage and resolve were the backbone of the movement. The women in the film and in the book never let fear get in their way. Their work was not just to make things better for themselves, but they worked to make things better for everyone. Another thing that I saw was when these women were growing up, there was always a parent, a neighbor – someone that told them they could have the same dreams as everyone else. Not any better necessarily, but just as good as anyone else’s. And it was theirs if they were willing to go out and get it. They were such extraordinary heroes. So I want people to walk away with the knowledge that these women – these heroes – helped to shape and change the landscape of this country. Some of these women are still alive and they continue to make a difference. They certainly have in my life.